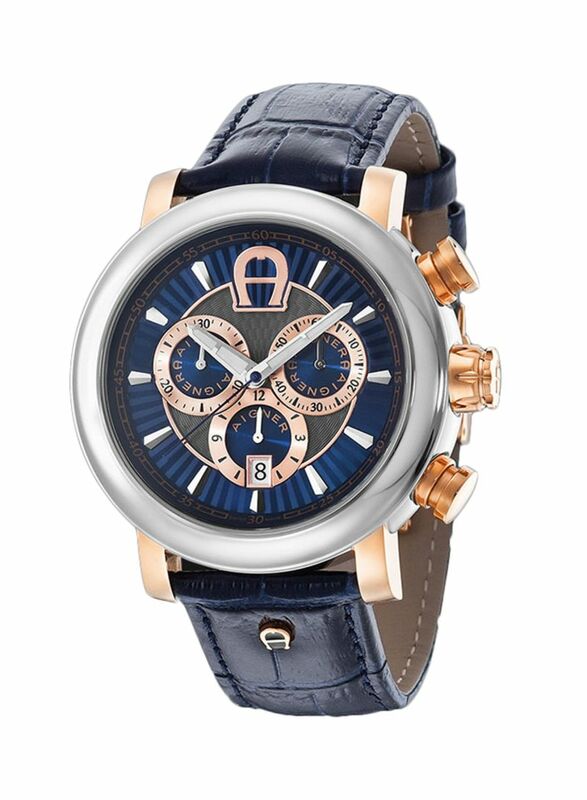 Make a lasting impression on everyone with this Bari Stainless Steel Watch from AIGNER. 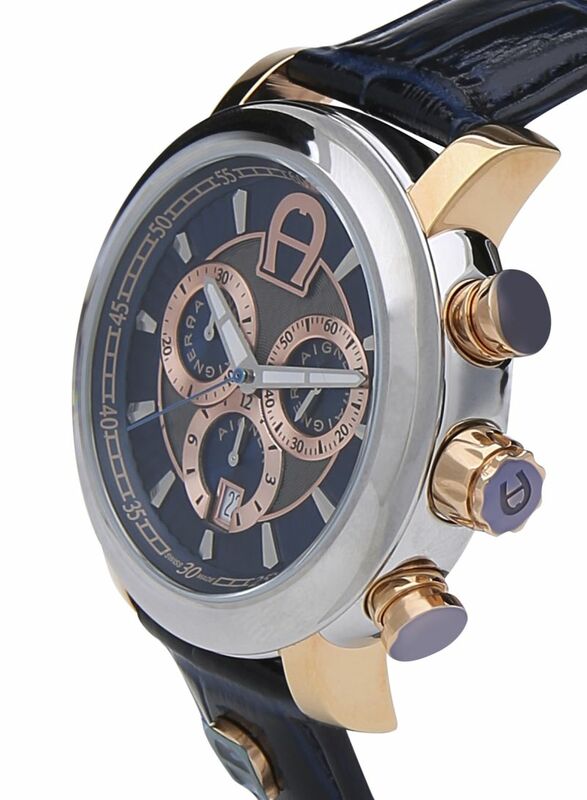 It features a round dial with a chronograph display. 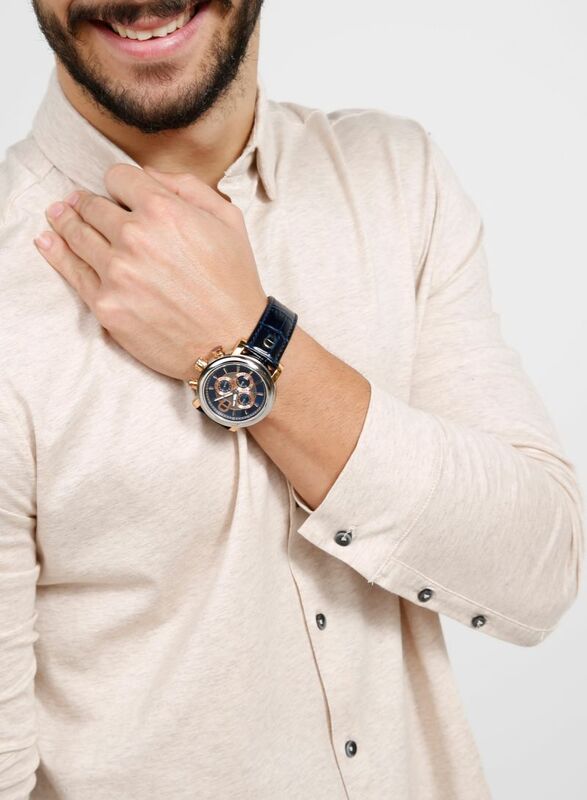 With its leather strap, it's the perfect accessory to flaunt on every occasion.